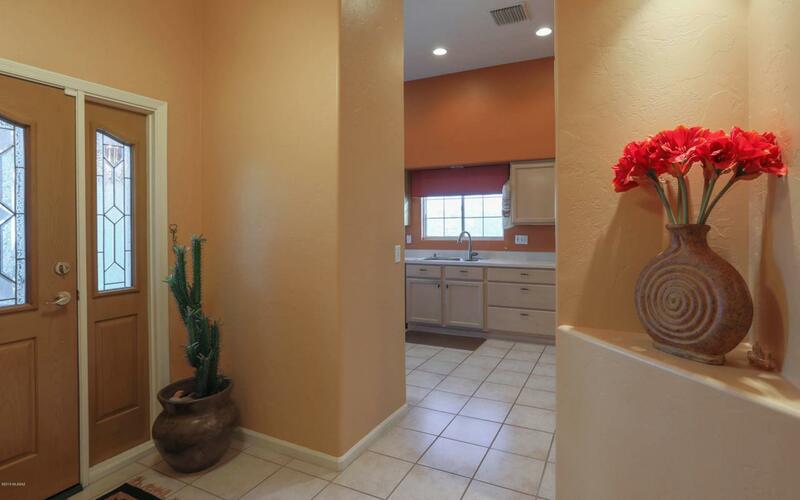 Exceptional two-bedroom Patio home in desirable Carmel Pointe gated community! 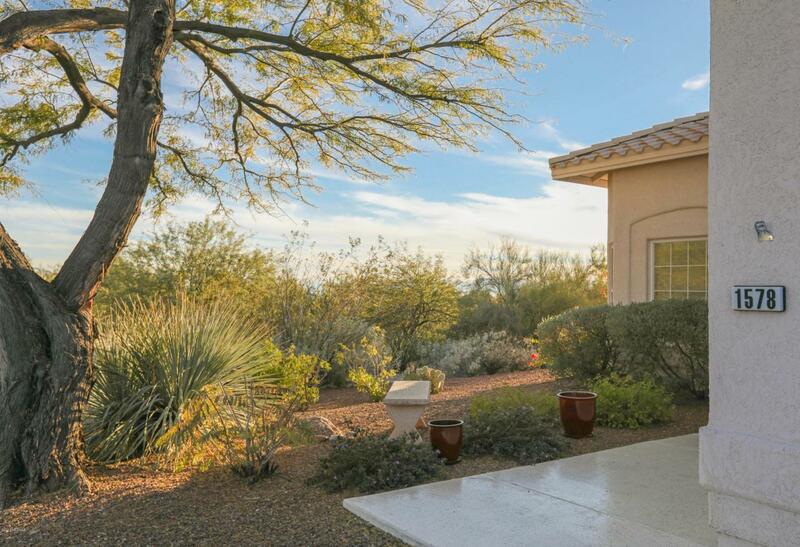 This light & airy 2,052 SF end unit on private cul-de-sac has fabulous Catalina & Tucson Mountain views. The flexible Great room floorplan features a gas fireplace, separate Dining room and Den. 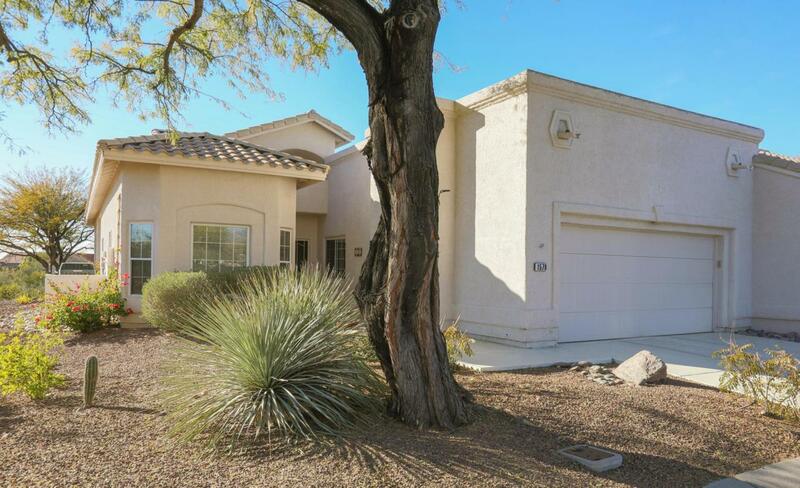 Delightful kitchen has all stainless appliances, ample cabinets, pantry & breakfast nook. Split bedroom plan Remodeled Master suite w/dual sinks & walk-in shower. Add'l features include newer HVAC 17.5 Seer & water heater (2013), NaturSoft Water filtration system (2016), two car garage with epoxy flooring (2018), spacious laundry room w/utility sink, ceiling fans, solar tubes. 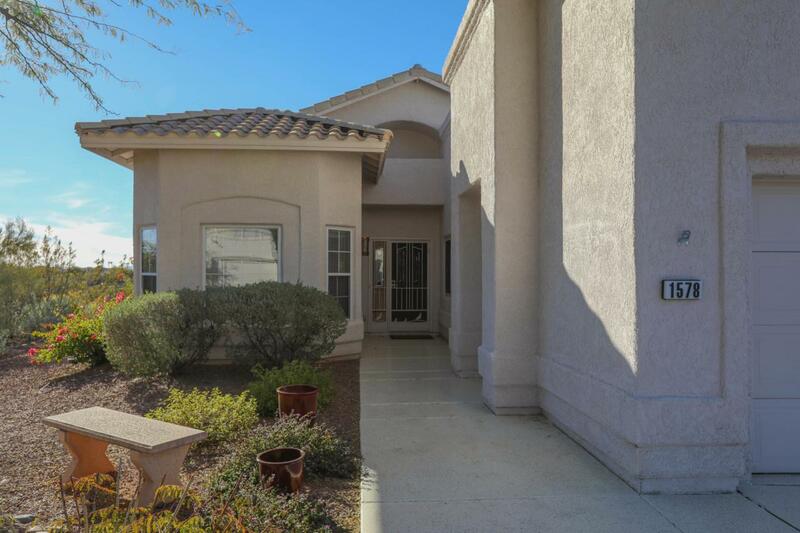 Nestled above the 1st fairway of the El Conquistador Country Club, enjoy the endless views & sunsets from the extended covered patio & hot tub.